We had a high profile visit a few weeks ago at TBI-Turkwel and TBI-Ileret by the Deputy President William Ruto, Dr. Hassan Wario, Minister for Cultural Heritage and Sports, the Governor of the Turkana County, Governor Nanok and several senior government officials. The visit was at the invitation of Richard Leakey. 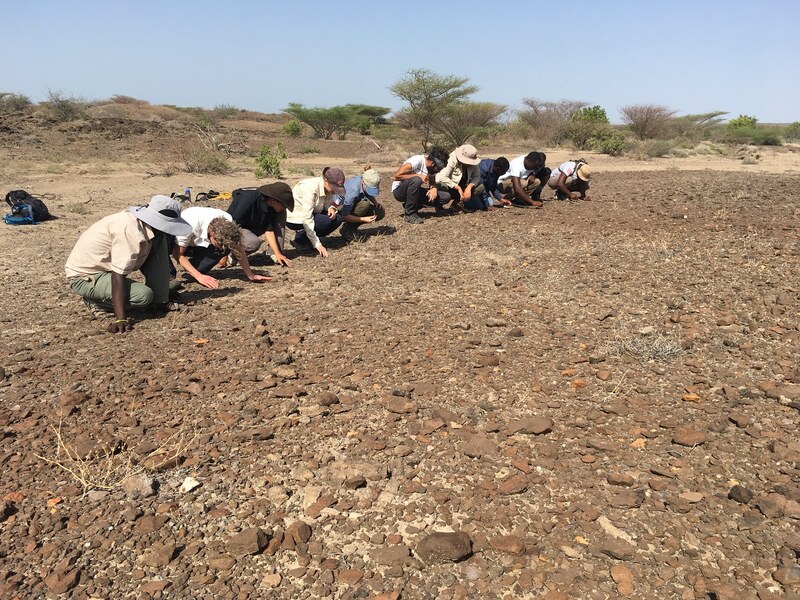 They visitors arrived by helicopter in time for lunch and then proceeded to tour the facility, and were shown the extraordinary contribution of the Turkana Basin as a region in understanding our past. 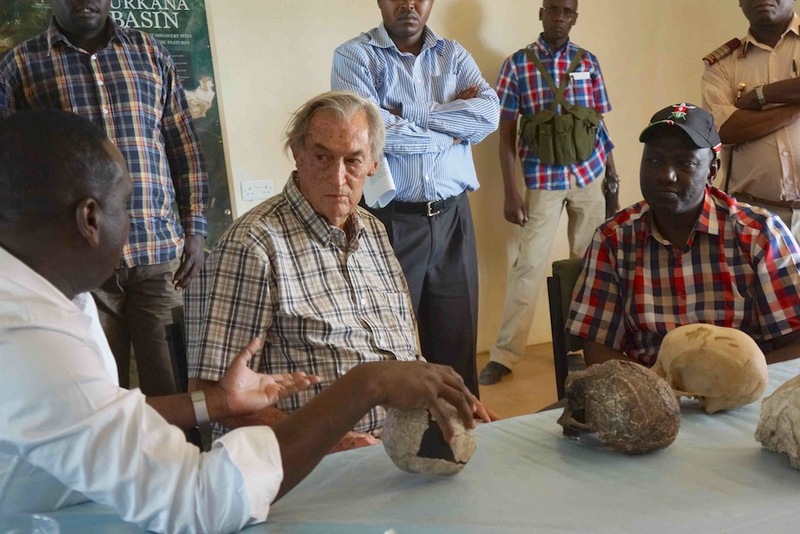 Richard Leakey discusses TBI’s work with high-profile visitors from Kenya’s government. Richard, Meave and Louise Leakey explained the geology and geography of the lake basin as well as the history of the work that has been done here over the past 45 years. 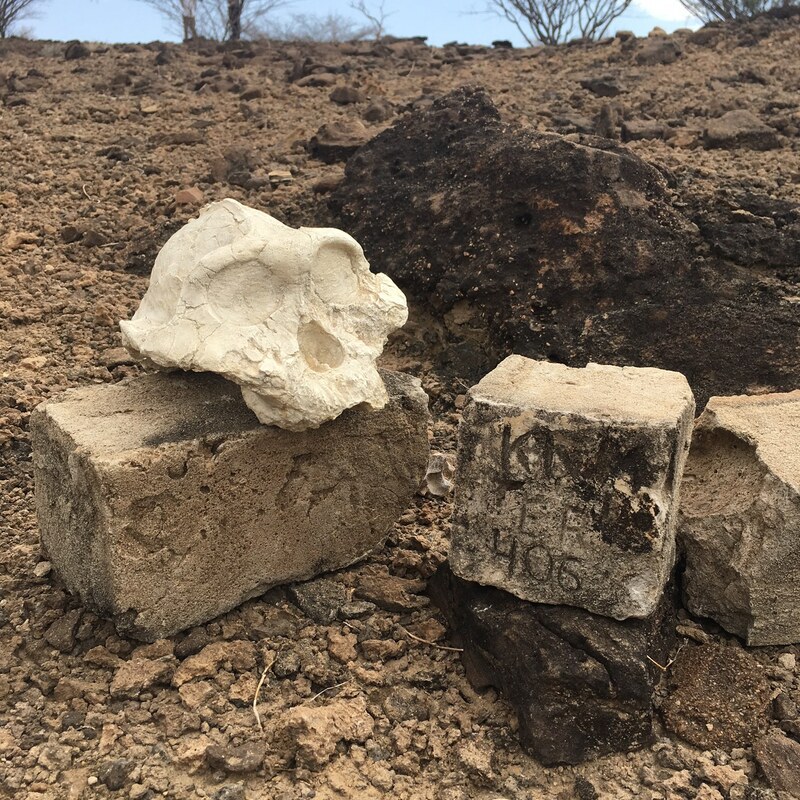 The significance of the many human ancestors that have been discovered here was demonstrated with casts of some of the most significant fossils as well as some stone tools. 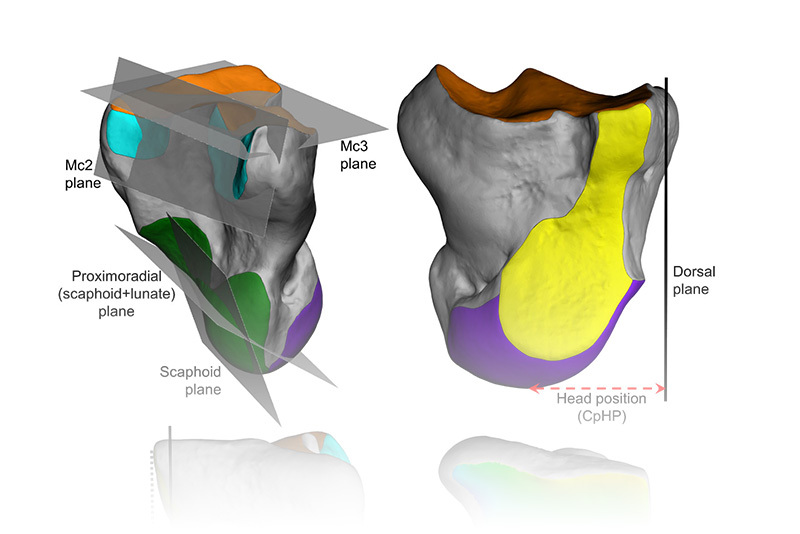 The visitors were also shown the remains of the Holocene excavations and some skeletons that date back to 200,000 years or so. Finally they were given a quick look at the dinosaurs that have recently been recovered from the north western part of the lake basin. His Excellency the Deputy President recalled his experience as student when on a visit to Olorgesailie some 20 or so years ago, remembers a lecture that Richard Leakey gave to their group where he stressed that everyone in the world could trace their origins to Kenya and that Kenya would one day be remembered for its major contribution to prehistory. The Deputy President said that all people visiting Kenya should indeed be welcomed home. 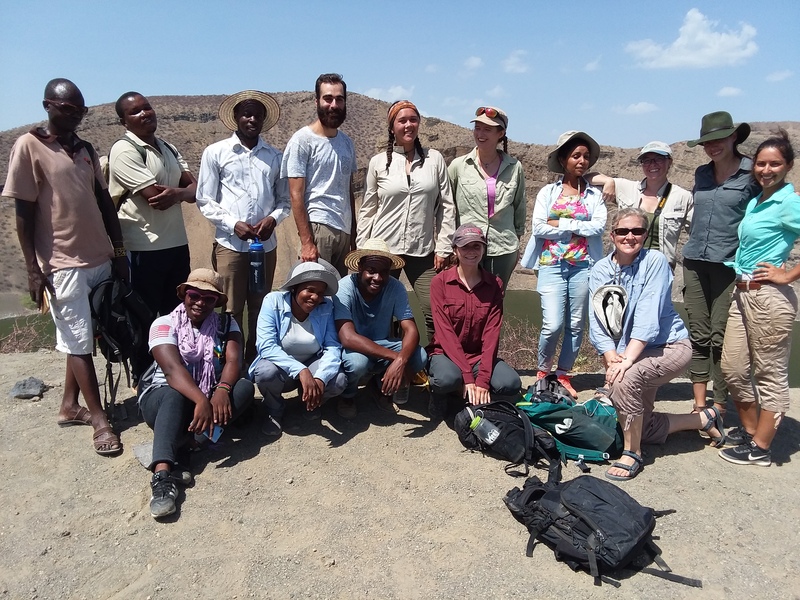 Next morning, the group flew north in the two helicopters towards the Omo Delta and on to tour the TBI facility at Ileret on the east side of the lake where Richard and Meave Leakey were able to show the group some of the collections that are housed in the laboratory there too. They then made an unplanned visit to Ileret town where they held a small ‘baraza’ (meeting) with the community, and made a donation to the new secondary school that is planned to be built in the near future. They left for Nairobi that afternoon. Hopefully this visit has left a lasting impression and that with the support of the new government, and under the office of Minister Hassan Wario, the heritage of Kenya will take a front seat in planning for the future. 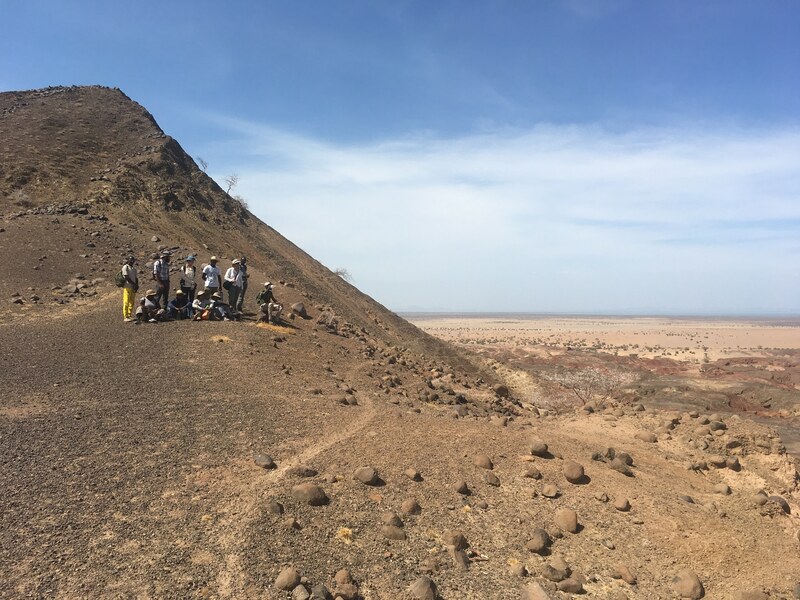 With the support of the local communities on the east and west sides of Lake Turkana, the Turkana Basin Institute will represent a lasting legacy for understanding humanity’s past, particularly in ensuring that research will continue in this region for many generations to come.